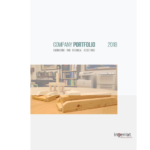 Our portfolio includes modules and mechanical packages for the offshore oil and gas industry as well as the offshore wind energy sector. 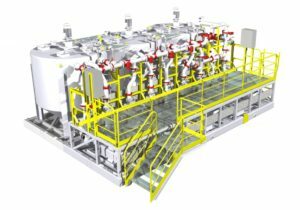 We design and engineer a variety of modules and topside structures for fixed production platforms including process modules, subsea templates, living quarters, control rooms and other engineered packages at clients’ request. 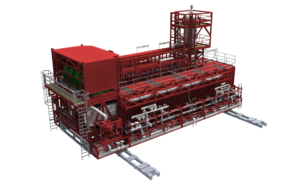 We can design and engineer a wide range of offshore modules and mechanical packages, suitable for operation in hazardous areas onboard drilling and production units. 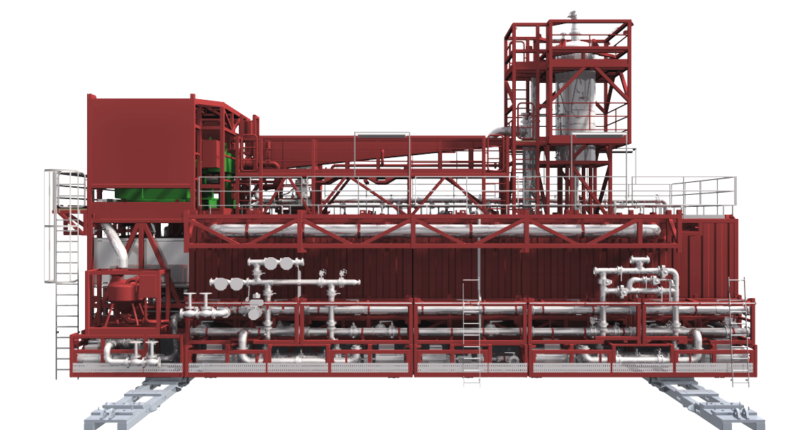 Modules compliant with DNV 2.7-3 as well as OS-E101 during operation. Designed to operate within Zone 1 and 2 hazardous areas. Designed so as to withstand sour service (NACE MR-0175 and ISO 15156). Process piping designed in compliance with ASME B31.3. What follows is a non-exhaustive list of packages we have developed to date. 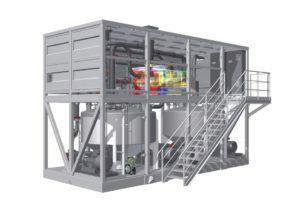 Gas scrubbing and inter-cooling systems. Sand handling and treatment systems. 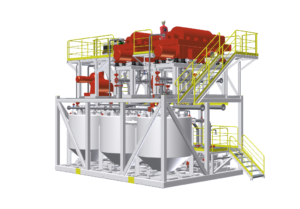 Oil, gas and water separation systems. Besides developing engineering packages, we can provide technical assistance during the design review process and fabrication. What follows is a non exhaustive list of activities we can undertake to provide support during the fabrication stage. 3D Modelling and 2D drafting, bill of materials, generation of as built drawings. Production of traceability records (material certificates, non destructive testing, mechanical tests, etc). Pressure test procedures and supervision.